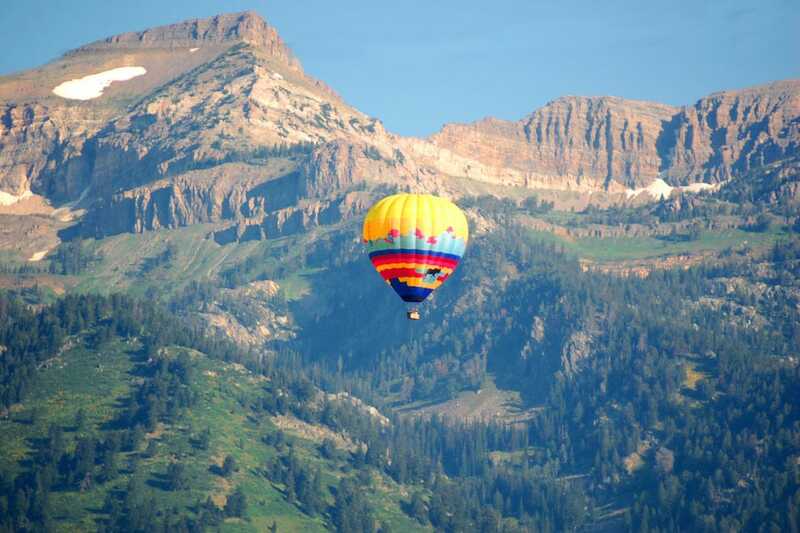 Jackson Hole is a top outdoors destination in summer and winter. Its vast, breathtaking scenery is full of gorgeous places to explore. But did you know that JH is actually at its best in spring? It's true - shoulder season runs April-May, and you'll find lower prices and no crowds. 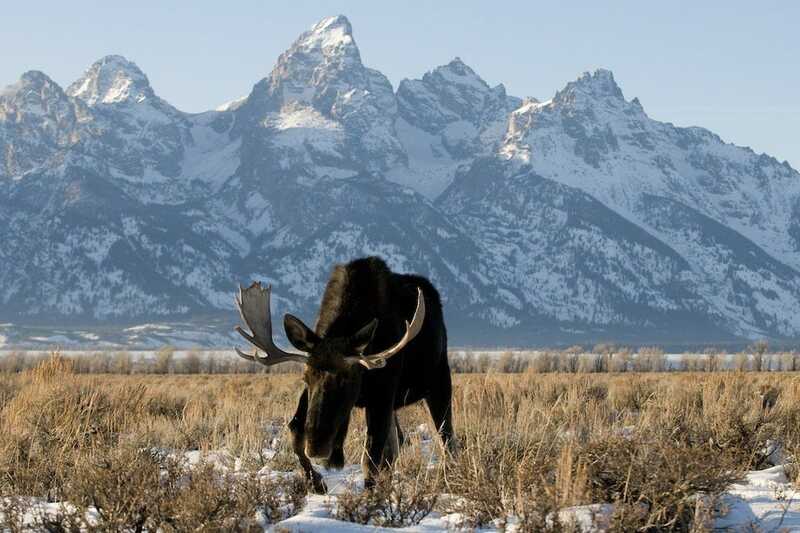 Read on for 10 ways to re-experience beautiful Jackson Hole. Take a private Wyoming safari on a half-day adventure through the National Elk Refuge, an amazing place for wildlife sightings. Look for moose, big horn sheep, elk, mule deer and more. There are several guide outfits in the area. Depending on your group size and interest, look for expanded tours that go all the way to the south entrance of Yellowstone and the western access road for Grand Teton National Park. Hotel Terra also offers unique guided tours such as a photography safari, star gazing, dawn and dusk tours and more with resident naturalist Kurt F. Johnson, the award-winning author of The Field Guide to Yellowstone and Grand Teton National Park. 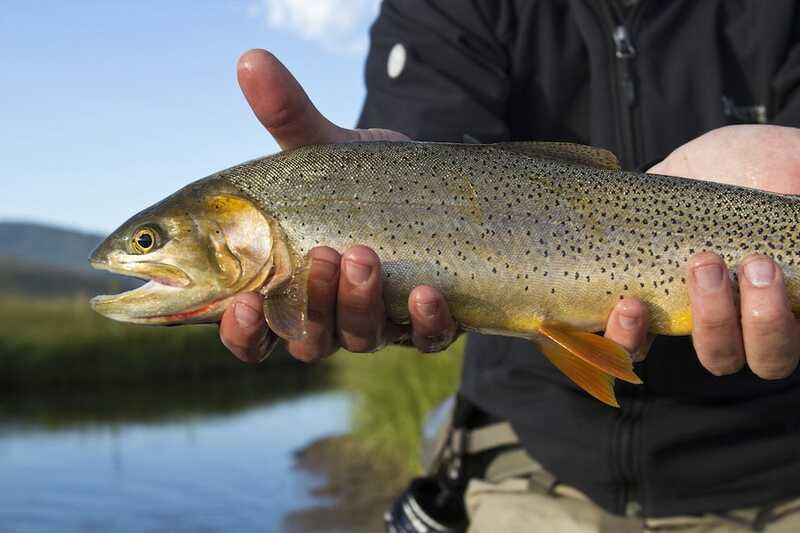 Whether you’re a fly fishing enthusiast or a complete novice, Jackson Hole is an ideal destination for spring fishing. Choose from various trips for all skill levels. The Wandering Angler provides fat tire (all-terrain) bikes use that can help to gain access to the fabulous fishing. Also, Teton Fly Fishing offers half-day or overnight trips on Snake River. 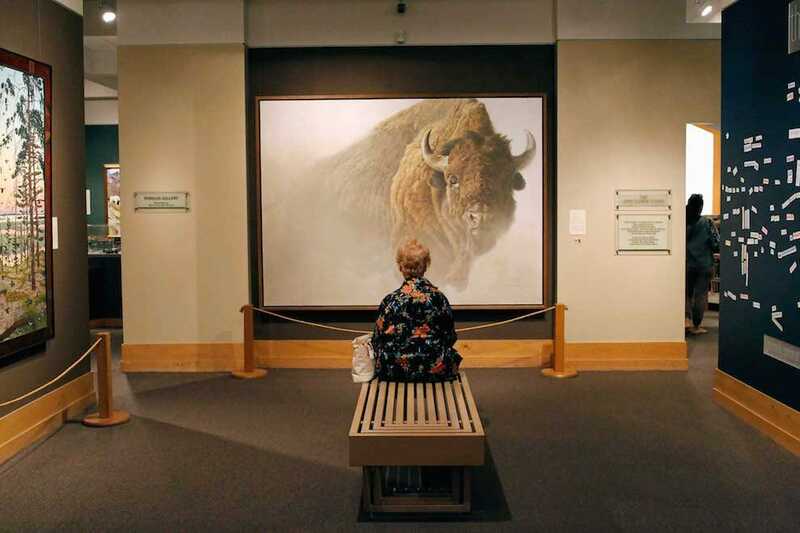 For a culture-filled afternoon, head to the National Museum of Wildlife Art, which overlooks the Elk Refuge and is home to the nations’ premier public collection of art devoted to wildlife. Observe 3,000 works (from the early-19th century to the present) from 550 artists celebrating wildlife. Current exhibitions include Wyoming Grasslands, photographs by Michael P. Berman and William S. Sutton, through April 24th and Monarch of the Plains, through May 8th. Visit the museum and have lunch at the Rising Sage Café, known for wonderful food and some of the best views in Jackson Hole. “You’ll peek over the mountains into beautiful Swan Valley. When wind conditions permit, you may get to experience the views of three states Wyoming, Montana and Idaho as well as beautiful ranches, farmlands and waterways. Upon landing, your flight will be celebrated in traditional French manner with a toast to the sun," says Casey. 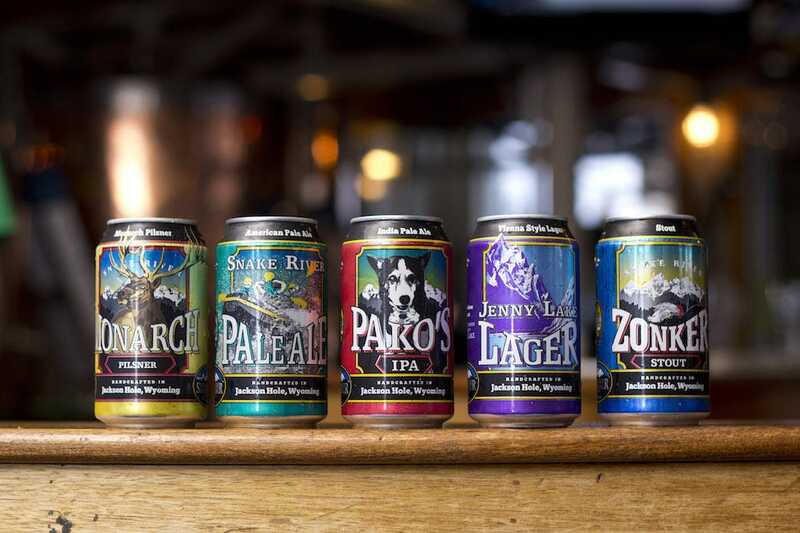 Craft beer is on the rise in Jackson Hole, so try some local flavor on a beer tour at award-winning Snake River Brewing Company. Begin the tour with a beer in hand, and you will learn and view the entire beer-making process. You may even get the opportunity to taste the difference in types of grains used in their beers, learn why they switched from bottles to cans and hear what types of beers they are spot-testing next. Be sure to stay for lunch or dinner, because the food is the best brewery restaurant food around and the menu has something for everyone. Top sellers include the pretzel appetizer, Brussels sprout Caesar salad, and the California pizza. Fat bikes have 4-5-inch tires for durable traction in outdoor sports. 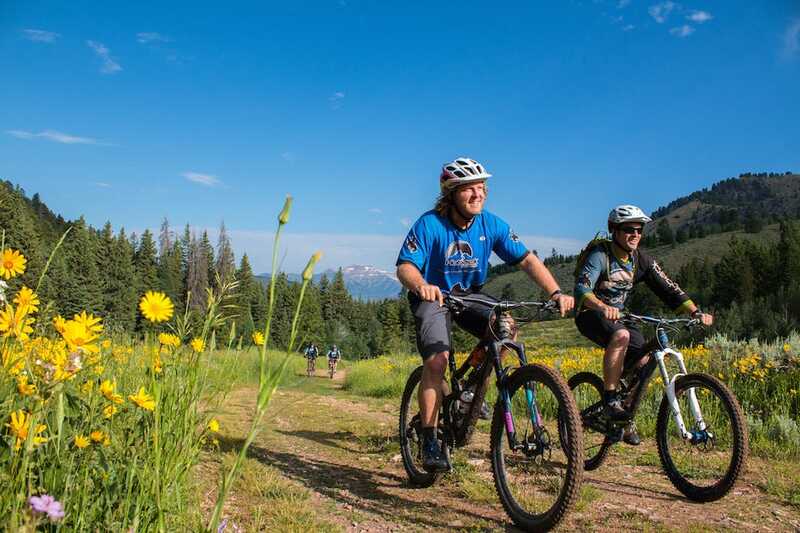 Spend a half or full day with Teton Mountain Bike Tours, which offers Wildlife Tours and Fat Bike Tours in Grand Teton National Park. 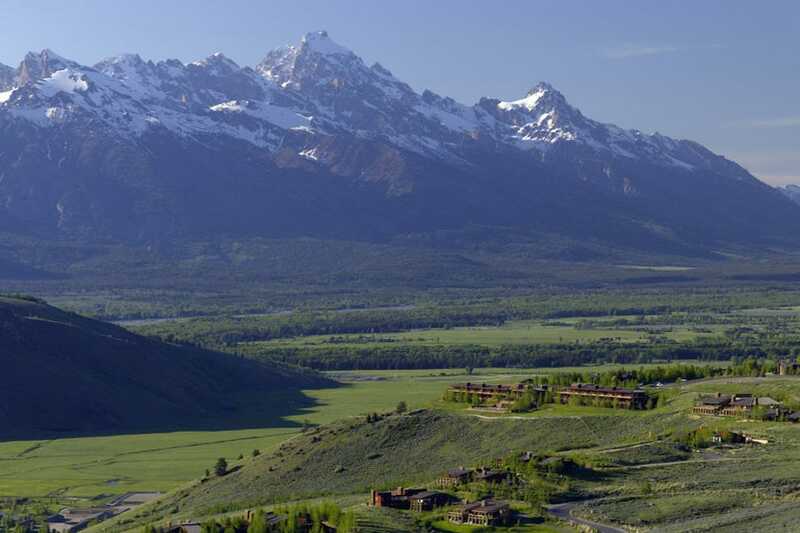 Choose from family, intermediate or advanced tours though mountain meadows and aspen groves with breathtaking views of the Teton Mountain Range. When the snow melts, put on your cowboy boots and saddle up in Jackson Hole. Explore Wyoming’s Gros Ventre Wilderness with Green River Outfitters, located in Bondurant. They offer two-hour, half-day, overnight and multi-day trips through Wyoming’s natural, unspoiled forests. 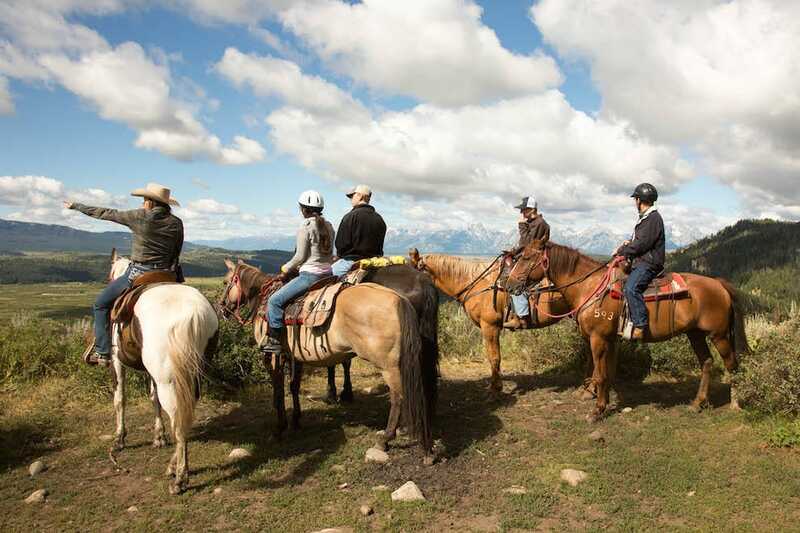 Book in advance at Heart 6, a luxury ranch located near Grand Teton National Park and the southern gateway to Yellowstone National Park for astonishing trail rides. 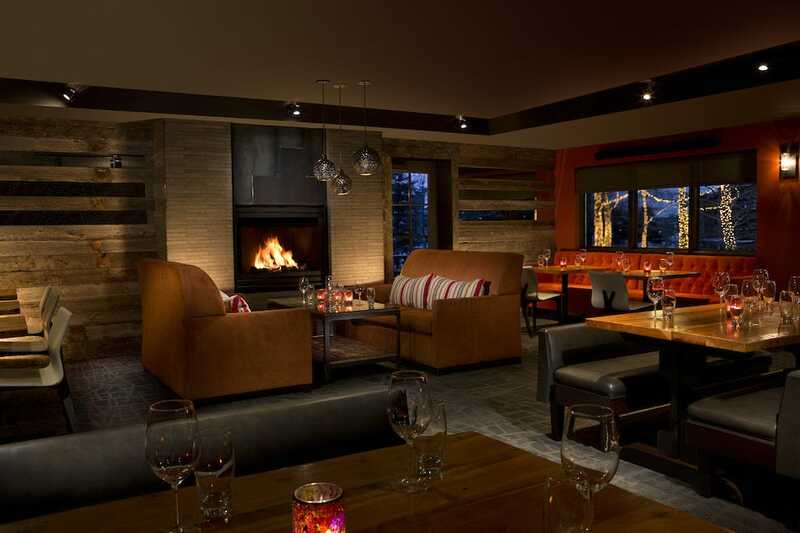 The dining options in Jackson Hole are endless, with something for every taste and mood. For a splurge meal with mesmerizing views, head to Amangani for an elegant yet warm romantic dinner. 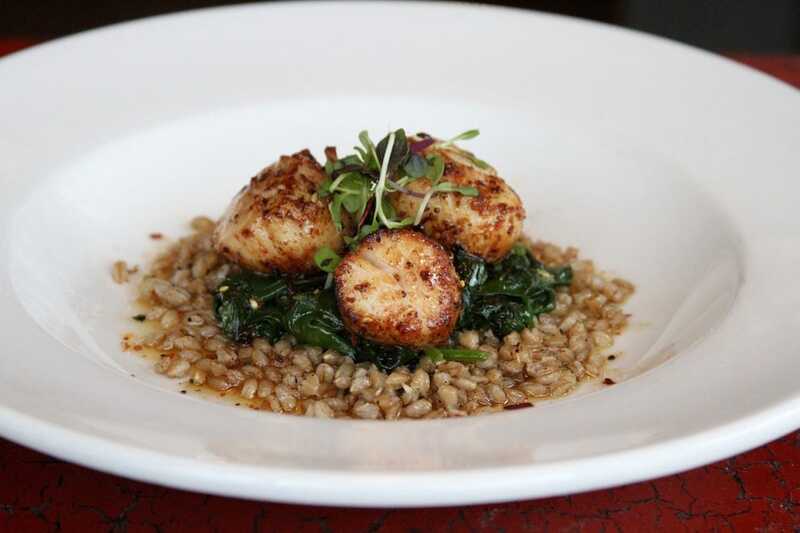 Popular dishes include the fennel and orange salad, the Mead Ranch New York strip and the hazelnut trifle. Genevieve, a neighborhood log cabin gem, is fantastic for brunch, lunch or dinner. Lunch items vary, but - from the Moroccan veggie wrap and smoked trout salad to the grilled cheese and tomato soup - you can’t go wrong. Persephone is a great stop for amazing coffee, hot chocolate and pastries.You can’t go wrong with anything you choose, but I opted for the cinnamon brioche. I also have it on good authority that the chocolate chip cookie (which is huge) is to die for. Persephone is open for breakfast and lunch on the deck or indoors, or grab-and-go for a picnic. In Teton Village, Spur is an absolute must for ambience, food, creative cocktails and superior service. Start with the mini tuna tartare tacos (you may want two orders), the spur salad with organic mixed greens, arugula, spiced butternut squash and pumpkin seeds with a sherry maple vinaigrette and the grilled buffalo ribeye. If you’re still hungry for dessert and like a chocolate-and-peanut butter combo, order the spur bar (it’s heaven!). Spur also has a wonderful and easy breakfast buffet with everything you could want to start your day. Spend a half or full day on the town to shop and take in the local flavor. 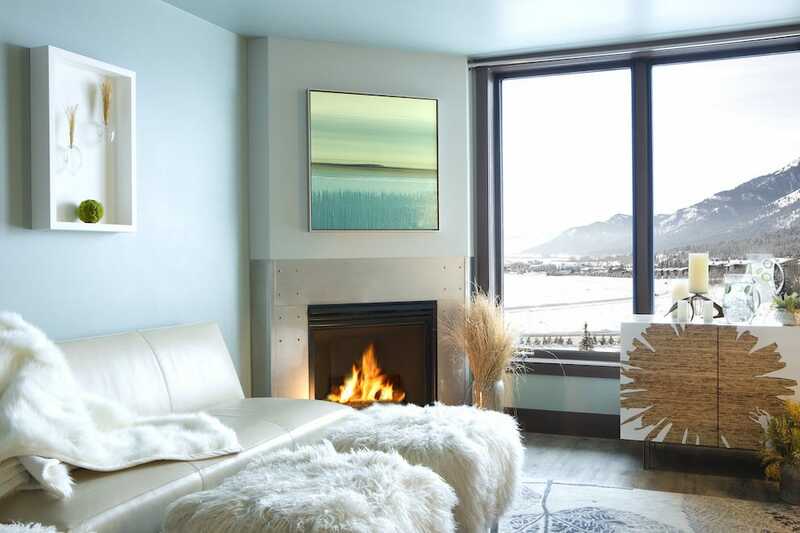 Galleries are abundant (Diehl Gallery, Legacy Gallery and a Rare Gallery of Jackson Hole are a few favorites), so make plenty of time to browse. Don’t miss shops such as MADE for handmade crafts, jewelry, cards, housewares, accessories and more. Plan on spending time in this store. It’s filled with so many unique and moderately priced items, you will wish you’d brought an empty suitcase to haul home all your finds. Stop in the New West Knife Works & Mountain Man Toy shop for some of the most unique cutlery, knives and even throwing tomahawks (they will even show you how to throw these toys outside). If you need outdoor apparel, stop in Stio for the latest locally made gear. Spas are abundant in Jackson Hole, but we love Amangani Spa for its rejuvenating treatments, pristine privacy and perfect way to end any treatment: sitting in the outdoor hot tub with the incredible mountain views from the resort. Chill Spa at Hotel Terra, known for facials and massages, has the best spa boutique, full of new lines of organic and beauty products. Choose the Arnica Sore Muscle Massage whether you are sore or not (it’s one of the best massages ever). For a full-service day spa experience, spend the morning or afternoon at Solitude Spa, located at Teton Mountain Lodge - it’s 10,000 square feet of pure bliss. Their experiential spa services incorporate elements found in nature, which is just one of the many reasons they have been voted the number one spa in Wyoming.